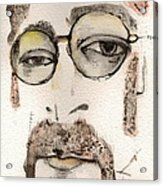 The Walrus As John Lennon by Mark M Mellon - 6.750" x 12.000"
The Walrus As John Lennon framed print by Mark M Mellon. Bring your print to life with hundreds of different frame and mat combinations. Our framed prints are assembled, packaged, and shipped by our expert framing staff and delivered "ready to hang" with pre-attached hanging wire, mounting hooks, and nails. Congratulations on your sale of this interesting work. Exquisite work. 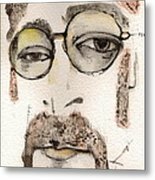 Words cannot express my admiration for your work on John. fv! Abstract pattern in reality object! sure. is there a link for it?